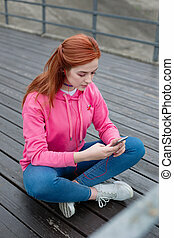 Magic sound. 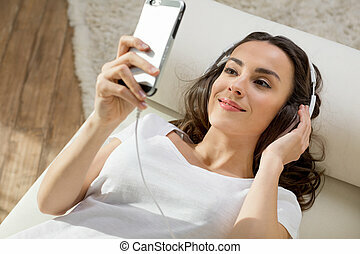 Pregnant happy young woman using headphones on her belly and listening to music while relaxing on a sofa. 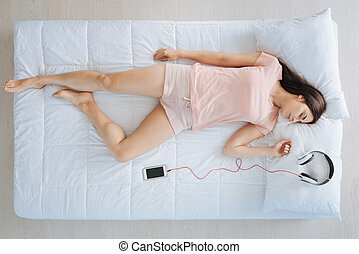 Portrait of beautiful young woman using her mobile phone at home.Beautiful brunette girl resting in bed with a smartphone, listening to music on headphones.